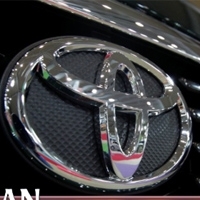 WASHINGTON (Bloomberg) -- Toyota Motor Corp. lost its bid to dismiss a Florida company’s patent-infringement claim that may result in a ban on imports of the carmaker’s newest hybrid models including the Prius and Camry. Theodore Essex, a judge with the U.S. International Trade Commission in Washington, denied Toyota’s request to end the case brought by Paice LLC. He also said Toyota can’t argue that the Paice patent is invalid because that issue has been resolved in court. The judge’s May 21 findings are subject to review by the six-member commission. The dispute is scheduled for a hearing starting July 19 and the two sides have been wrangling over what issues will be considered. The arguments concern the impact of a trial Bonita Springs, Fla.-based Paice won against Toyota in a case over the patent that was upheld on appeal. The case involved earlier versions of the Prius and Highlander hybrids. “We are encouraged by the judge’s rulings and look forward to completing our case at the upcoming trial,” said Paice lawyer Ruffin Cordell of Fish & Richardson in Washington. A federal judge in that earlier case rejected Paice’s request to halt sales of the cars and instead ordered royalty payments on Prius, hybrid Highlander and Lexus RX400h sport-utility vehicles. Paice filed a new complaint, at both the court and the ITC, over hybrid Camry, third-generation Prius, Lexus HS250h sedan and Lexus RX450h SUV models. Officials with Toyota, the world’s biggest automaker, didn’t return messages seeking comment. In a separate case, Toyota is challenging the royalty rate it was ordered to pay by the federal judge in Texas. Paice, which is an acronym for Power-Assisted Internal Combustion Engines, said Toyota is infringing a patent for a way to supply torque, or force, to a car’s wheels from both an electric motor and an internal combustion engine. It also has a patent-infringement claim against Ford Motor Co. over Fusion and Escape hybrid vehicles. Ford is challenging the patent.